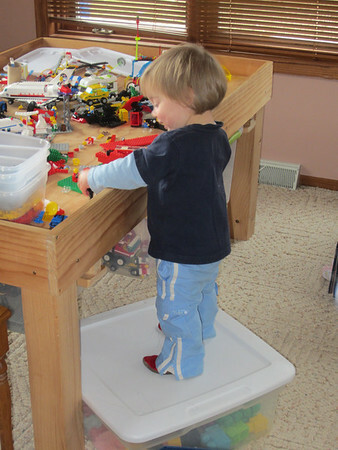 Now can get to the Legos. Nothing is safe. 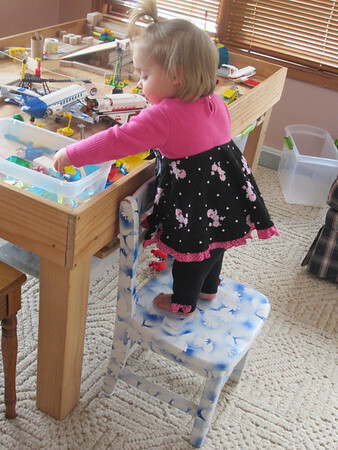 She has figured out that if she pushes something, anything over to the table, she can climb on it and BUILD LEGOS. Or destroy them, whatever mood she is in.